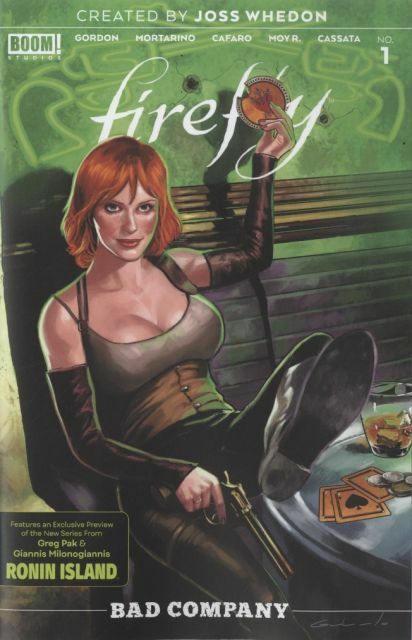 von: Josh Lee Gordon, Francesco Mortarino, Giuseppe Cafaro, Moy R.
In this 40 page celebration, take a look into the never-before-seen history of one of the most beloved Firefly characters in the 'Verse - SAFFRON! Journey through the early days of Saffron's life, from before her fateful meeting/marriage to Mal. This is an origin story no Firefly fan is sure to forget!